Working as a webcam model can be a fun, lucrative and liberating job. You’ll get the kind of freedom that very few other jobs can offer. Work when you want, for as long as you want, and you don’t even have to leave home. Best of all, it’s a job filled with plenty of pleasure and social interaction. There aren’t many jobs where you can get paid to do something you like to do while an audience showers you with compliments. Like any other job, though, there are those who are good at it, and those who are great. If you’d like to take your webcam modeling experience to the next level, here are some tips to help you get there. Things will go much smoother on camera if you do some preparation off camera before you get started. It’s good to have a short routine that allows you to prepare yourself and your performance area before you go on camera. Your personality and state of mind are going to show during your performance. If you’ve been having a bad day, or just aren’t in your best mood, it can do you a lot of good to spend a few minutes preparing yourself mentally. Maybe meditation works for you, maybe it’s a few of your favorite songs, or maybe it’s a giant bowl of ice cream. It doesn’t matter what works, just find something that does, and use it to help yourself “get into character”. You and your audience will both have a much better time if you’re in a good state of mind. You should also make sure everything in your performance area is ready to go. You don’t want potential clients sitting there getting bored while you’re fidgeting with a light or trying to make an adjustment to the furniture. Check all of your equipment, and the room in general, a few minutes before you go on. If you’re using any kind of toys, props or extra clothes, you should have them close by. They don’t have to be stacked up next to you on camera, but you shouldn’t have to be off camera for more than a second or two in order to retrieve them. If you’re constantly vanishing to go find something, members will get frustrated and leave. Make sure anything that you might need is close by so you can minimize “dead air” time. Anyone who comes into a chat room and finds the camera aimed on an empty room is not going to stay for long, there are hundreds of other models who are online and in front of the camera. They don’t have to wait for you, and they won’t. The webcam is, obviously, a visual medium. Take advantage of outfits and clothes that show off your best assets and drive your viewers crazy. Especially if you cater to a crowd that likes a particular fetish, this can make a huge difference. Do your hair and put on your makeup. Make sure you’re groomed and ready to impress. Very subtle things can come across on camera. Taking a little extra time to make sure everything is just right before you go on can be the difference between waiting a few minutes for a paying customer and waiting for an hour or two. Regular members will become your bread and butter. They are the ones who will keep your earnings going up. Take the time to remember their names or nicknames. It will pay off and keep them loyal. If you have to, take notes on paper and pin them behind the camera, or in a notepad program that you can keep on the screen on your computer. Like any job in entertainment, people react to the connection they feel with the entertainer. Members will feel connected to you in the same way that a person feels connected to their favorite singer. If you actively nurture those relationships, you will keep regular fans coming back longer and more often. They’ll be happy to spend their money with you, and your income will steadily increase. When you’re in free chat trying to entice someone into paying for a private session, don’t be afraid to tease with any props, toys or clothes you have nearby. Let the audience know that there is more waiting for them when the chat goes private. Especially if you’re doing a longer session online, you should make a point of getting up and moving around a little bit every now and then. It can get boring sitting there waiting for the next paying member to show up, but if you look bored, your audience is going to be bored too. And that means your chances of someone paying for a private session are going to drop. When things get slow, it’s up to you to liven them up. Dance around a little bit, or maybe even try to start a goofy game with your fans. Anything you can do to keep up your own enthusiasm will perk up the audience too. You’ll have a much better chance of developing regular members and fans if you make it easier for them to find you. You don’t need to work it like a 9 to 5 job, but you should have some stable hours that you work each week. This way you can let fans know when they’ve got the best chance of catching you online. Many members will make it a point to be there when they know you’re going to be available. It might seem obvious, but it’s often forgotten. Simply being friendly and acknowledging everyone who comes into your room can turn many casual members into paying fans. 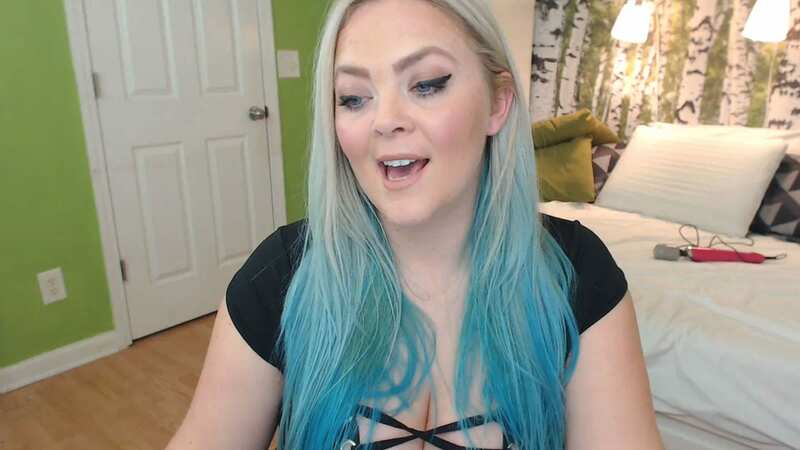 Working as a webcam model is about forming relationships and connections with your fans. If you just sit there waiting for them to say something to you, you come off looking superior and self absorbed. Sometimes just saying hello is all you need to do to make someone feel special and get them to interact with you. 99% of your potential clients are there because they’re hoping you’ll pay special attention to them, not the other way around.